During the four years of physician Margaret Overton's acrimonious divorce, she dated widely and sometimes indiscriminately, determined to find her soulmate and live happily ever after. But then she discovered she had a brain aneurysm. She discovered it at a particularly awkward moment on a date with one of many Mr Wrongs. Overton, an anaesthetist, realised she had been so busy looking after the needs of others that she had forgotten to look after herself. So she set out on a course to take control of her future and finally become independent of men. 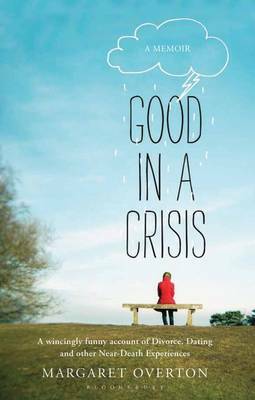 Good in a Crisis is Overton's laugh-out-loud account of dealing with the most serious of life's problems: loss of life, loss of love and loss of innocence. It is a story of spirituality and self-delusion; of coming of age in adulthood and of navigating the terrible events that can cluster in midlife. Honest, hopeful and hilarious, this unforgettable memoir will make you laugh and cry. It will leave you a lot humbler, and just a little wiser.